The definitive Power Man – Luke Cage – comic books issue-by-issue collecting guide and trade reading order for omnibus, hardcover, and trade paperback collections. Find every issue and appearance! Part of Crushing Krisis’s Crushing Comics. Last updated December 2017 with titles scheduled for release through July 2018. Luke Cage emerged from Marvel’s early-70s habit of stealing themes from pop culture – in this case, the emergence of Blaxploitation films. That made him only the second prominent black hero at Marvel, after Black Panther – who had become a staple in The Avengers. A street-smart man with unbreakable skin and a billionaire’s son who mastered a secret martial art. This memorable odd-couple pairing lead to another eight years of an ongoing series, until 1986 when Marvel ended several long-running 70s books at the end of Secret Wars II. 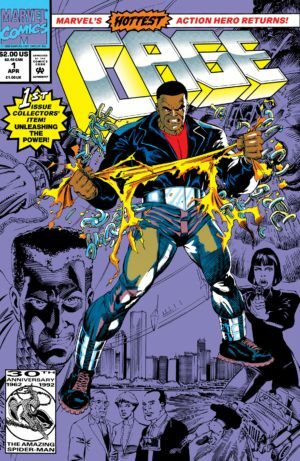 Afterwards, Luke Cage was basically put into mothballs, and when he was taken out he didn’t prove a hit on his own – his 1992 self-titled series lasted only 20 issues. Despite numerous guest-appearances and a brief Heroes for Hire run during Marvel’s late-90s struggle, it was one man who brought Cage back to prominence despite never writing him in a solo title: Brian Michael Bendis. Bendis introduced Luke Cage as a foil and on-again/off-again flame to Jessica Jones in Alias, linking the characters from that point forward (and using them both in his Daredevil run). Then, he plucked Cage from relative obscurity to join New Avengers alongside surefire sellers Spider-Man and Wolverine. Ever since then, Luke Cage went from occasional guest-star to one of the most prominent heroes in the Marvel Universe, though he occasionally takes a break to change a few diapers. Like Hawkeye before him, he serves as an anchor and mascot for Avengers teams and as a mentor for reformed criminals the Thunderbolts. He also has a habit of popping up in any Iron Fist title. In the wake of his smash Netflix series released at the end of 2016, Luke’s profile at Marvel was as high as ever – with him appearing in his own title, as well as Jessica Jones and a re-branded Defenders team. Where to Start Reading Luke Cage! Where should you start reading Luke Cage? It largely depends on what era of comics you enjoy the most! Do you dig 70s comics? Do you also enjoy 70s Blaxploitation and kung fu flicks? If both of your answers are yes (or, if the throw-back 4th episode of Netflix series was your favorite) then start Luke Cage here – with the beginning of Cage’s legendary team-up with Danny Rand, The Immortal Iron Fist! If you really love what you read, you can always backtrack for the solo Power Man stories that came before. Do you love 90s comics, with their vibrant colors and impossibly muscled casts? This is Luke Cage in that era, solo for the first time in over 15 years. These two volumes collect the entire series. 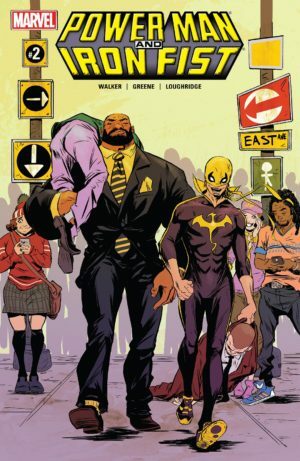 Want a modern take on Luke Cage and Iron Fist that has some cartoonish omedy to it? 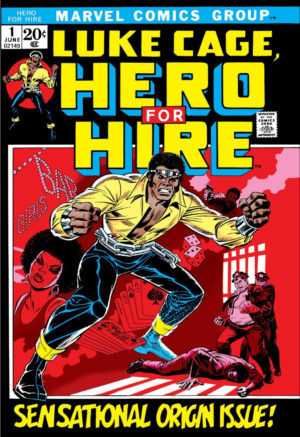 This volume re-teams the original “Heroes for Hire” in their own duo book for the first time in two decades. Want to get as close as you possible can to reading a comic with the mature tone of the Netflix series? 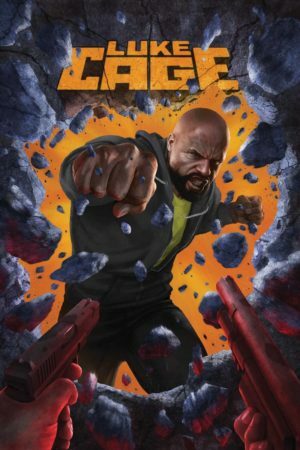 Leap into the this Luke Cage volume by writer/director David F. Walker, released just months after the show debuted. 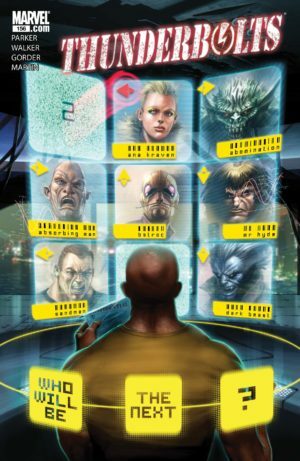 Issues #1-16 are officially titled “Hero for Hire” in their indicia despite the “Luke Cage” banner running on the covers. The same is true for #17-49 titled as “Power Man.” After issue #30 of his own series, Luke Cage joins The Defenders for a run from #37-45. Marvel Masterworks editions are high quality, full color reproductions of original issues. Marvel’s Essentials line packs tons of comics into each black and white, phone-book-sized edition with newsprint paper. If you don’t care about color and glossy paper, this is the best way to acquire your favorite classic stories quickly. Giant-Size Power Man (1975): This was a reprint issue of #14-16. Luke’s membership in Defenders begins after #30 and ends by #36. Click to expand for a list of various other appearances in this period. Luke Cage may also appear in Black Goliath (1976) #1. Luke’s solo series was retitled “Power Man and Iron Fist” as it absorbed Danny Rand fresh off the end of his own title (the conclusion of his last story was in Marvel Team-Up #64, which was released in December 1977 alongside his appearance in Power Man #48). 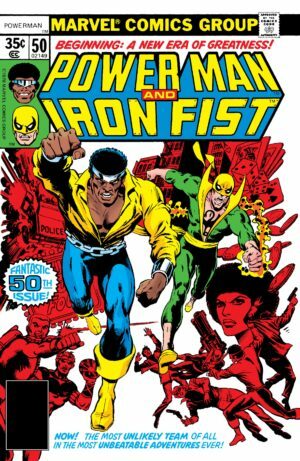 As with the title inconsistencies with the prior volume, the indicia title of this volume did not change from “Power Man” to “Power Man and Iron Fist” until issue #67. Most guides and resources (including Marvel themselves) act as if the title change began with #50. Unfortunately, #73 is a crossover between ROM #22-23 and includes ROM characters that Marvel no longer holds the rights to reprint. It’s a bummer! Summarizes #73. Also collects Daredevil #178. #73: Not collected, though the issue is summarize in the Epic Collection. A crossover from ROM #22 to ROM #23, though Luke Cage appears only in #23. The Essentials series has ended; we won’t be seeing a Vol. 3! Luckily, the Epic collections are quickly catching up to this point. Contest of Champions: See Marvel Universe Events. This occurs between #82-84 Cage appears in #1 and is implied or behind the scenes in #2-3. #100-125: Not collected, except for #121 with Secret Wars II. See Marvel Universe Events. After several years of him being completely missing in action, Marvel relaunched Luke Cage in the early 90s with the black creative team of writer Marcus McLaurin and legendary penciler Dwayne Turner. McLaurin writes the entire run of the series while Turner draws the first half. Marvel Comics Presents #82 (4th story): Collected below in Second Chances, Vol. 1. Infinity Gauntlet: See Marvel Universe Events. This is a non-critical appearance – Luke Cage is implied or behind-the-scenes in #2 and 6. Also collects a story from Marvel Comics Presents #82, which proceeds this run. Infinity Crusade: See Marvel Universe Events. 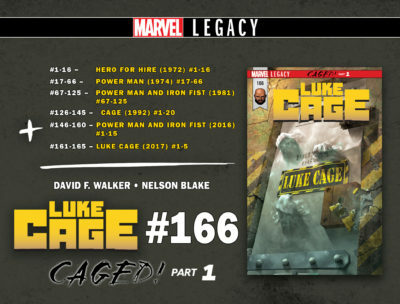 Luke Cage appears in #5-6 after Cage #17. After the end of his series, Cage appears in Marvel Comics Presents #131-136, Secret Defenders #15-17 (in Deadpool and the Secret Defenders), Spider-Man Unlimited 6 (2nd story), and Thunderstrike #13-14. 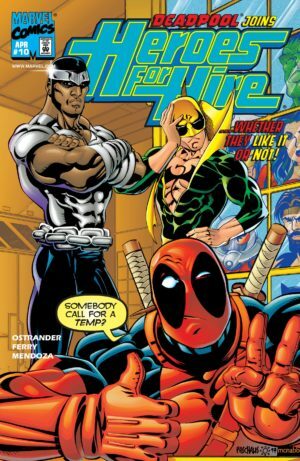 The first Heroes for Hire series, this John Ostrander written title was effectively a rebranding of “Power Man and Iron Fist” for the team-focused late 90s. Daredevil: Cage Match: A one-shot flashback. Collected with New Avengers: Luke Cage (2010). Also collects Siege of Wundagore crossover issues Quicksilver #11-12, as detailed below. The Siege of Wundagore: A story running through Heroes for Hire #15, Quicksilver #11, Heroes for Hire #16, Quicksilver #12, Heroes for Hire Annual ’98. Also available in Avengers: Quicksilver TPB. Contest of Champions II: See Marvel Universe Events. Cage appears in #3 & 5. Luke Cage next appears as a supporting player in Iron Fist & Wolverine #1-4 (see Iron Fist for collection information). 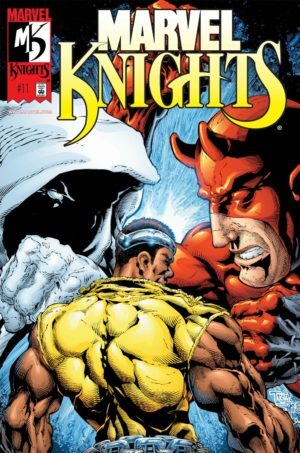 In 2000, Luke Cage became one of the anchoring stars of the mature-themed Marvel Knights line of comics, which briefly merged into MAX before that line began to address its own separate continuity). Luke’s guest-starring spots in Alias began the unlikely path to a story that would see him with his highest profile of all time. Because events that occur in Alias issues that don’t contain Luke Cage still can have some bearing on his future story, I have listed all of Alias’s collections here. For a full list of Jessica Jones comics and appearances, visit her guide. Cage appears in #1-2 & 15. A double-length TPB. It is unclear to me if this series took place in the MAX independent continuity at this point, as the contemporaneous Alias was in main continuity. What I do know is that people seriously dislike it! Also available in hardcover. Cage appears in #25-26 & 28. A double-length TPB. Cage does not appear in this volume. Secret War: See Marvel Universe Events. The flashbacks in #2 & 5 fall here. Alias transforms into The Pulse, in which Luke is a recurring star. Luke appears in #1, 3-9, & 11-14. Also collects New Avengers Annual 1. #10 was part of House of M and is not collected here. Secret War #1-3 is simultaneous to The Pulse #6-7. Cage does not appear in 8 or 10. Pulse continues below. Writer Brian Bendis gave Luke Cage his biggest upgrade yet after five years of penning him alongside Jessica Jones – he had Luke Cage join The Avengers! Luke Cage served as an anchor for the New Avengers team for the entirety of its run, and starting with Civil War he served as the main character of the book with some significant plot developments for him and his family. 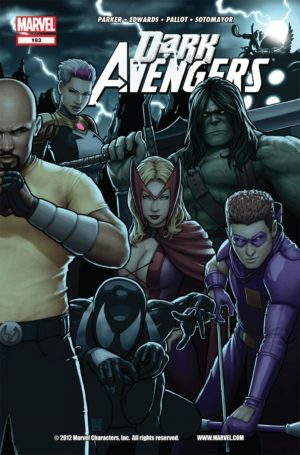 New Avengers (NA) #1-10: See New Avengers. House of M: See Marvel Universe Events. Luke Cage appears in every issue of this event, as well as in Captain America #10 during issue #5. NA #11-15: See New Avengers. Also collects New Avengers Annual 1. Also collected in “Complete Collection,” above. Issue #10 was part of House of M and is not collected here. Civil War: See Marvel Universe Events. Luke Cage appears throughout this event and is frequently used to put a personal touch on this massive story. He appears in New Avengers #22-23 during this event. Luke Cage joins Iron Fist’s title as a supporting player. These issues will not be called out in bold; see Iron Fist for collection options. Technically, the action in Iron First 2 & 5-6 occurs towards the end of Civil War #7. NA #27-37: : See New Avengers. Implied in #35. World War Hulk: See Marvel Universe Events. Luke Cage appears throughout the core of this event. Annual 2, #38, & Avengers/Invaders #2-12: See New Avengers. Secret Invasion: See Marvel Universe Events. Luke Cage is a recurring Avengers player in this event, though he is not the focus. New Avengers interrupts its focus on the main team during this event to provide background. 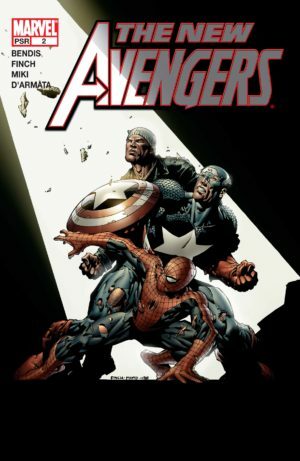 NA #47-50 & Free Comic Book Day 2009: Avengers #1: See New Avengers. NA #51- 60 & Annual 3: See New Avengers. NA #62-64 & Finale: See New Avengers. These issues are part of Siege. Siege: See Marvel Universe Events. Luke Cage appears throughout this event as an Avenger. Thunderbolts #143: See Thunderbolts. 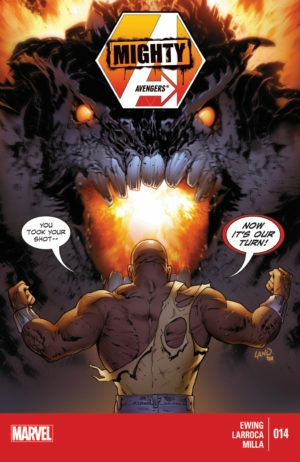 Luke Cage joins the cast of Thunderbolts through #163, all of which fits into the next era save for this issue. 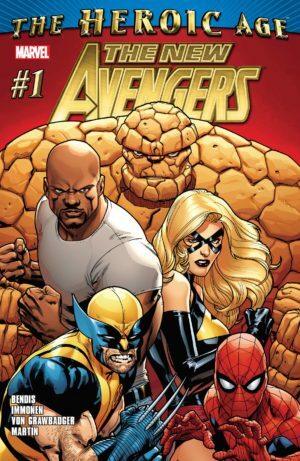 With the heavy-hitting holy trinity of Captain America, Iron Man, and Thor back on the main Avengers squad in the wake of Siege, Luke Cage shifted to leading a lower-powered “street team” of Avengers in the relaunched New Avengers. Thunderbolts (TB) (1997) #144-147: See Thunderbolts. Shadowland: See Marvel Universe Events. As a street-level hero and friend to Daredevil, Luke Cage is a major player in Shadowland. Thunderbolts #148-149 are part of this event. This does not star Luke Cage! This Power Man is Victor Alvarez, who earns the title during Shadowland. He will not be tracked distinctly by this guide. After TB #150: Wolverine (2010) #5.1, (#151-154 may fit here), The Amazing Spider-Man (1963) #653-654 & 654.1, Fantastic Four (1961) #584 & 588. An appears in Young Allies (2010) #5 likely also fits in this period. NA#8, Av #7-17 & 12.1, NA #9-16: See Avengers and New Avengers. Avengers #13-17 and New Avengers #14-16 occur after the Annuals and once Fear Itself is underway, below. Fear Itself: See Marvel Universe Events. Luke Cage appears throughout this event and its tie-ins, primarily appearing as a Thunderbolt #155-161 as well as in Avengers. TB #162-163, 163.1, & 166-167: See Thunderbolts. Spider-Island: See Marvel Universe Events. Luke Cage is a recurring supporting player in this event. Avengers vs. X-Men: See Marvel Universe Events. Luke Cage is a major character on the Avengers side of this event. Click to expand for an approximate Avengers vs. X-Men reading order for Luke Cage. 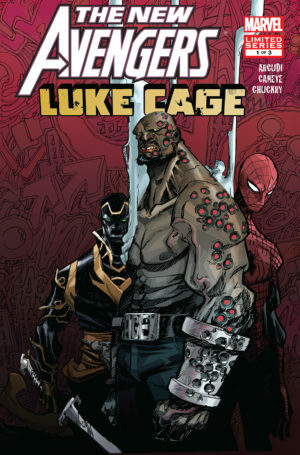 Luke Cage may also appear in the following comics from this period: Enter the Heroic Age (2010) #1, Deadpool (2008) #1000, Heroic Age: Heroes (2010) #1, Avengers vs. Pet Avengers (2010) #2-3, , Avengers vs. Pet Avengers (2010) #4, Black Panther: The Man Without Fear (2011) #514-515 & 517-518, FDNY Custom Comic (2011) #1, Heroes For Hire (2011) #3-4, Power Man and Iron Fist (2011) #4, Captain America: Hail Hydra (2011) #5 (may be a flashback series), Iron Age Omega (cameo; mostly a flashback series). Cage rejoins the cast of Thunderbolts just as it changes its name to Dark Avengers at the beginning of Marvel Now. Dark Avengers, Vol. 2 (2012) #175 & 177-183: See Dark Avengers. Afterwards, Luke Cage lies low until Infinity, likely enjoying walks through Central Park with his daughter. Infinity: See Marvel Universe Events. 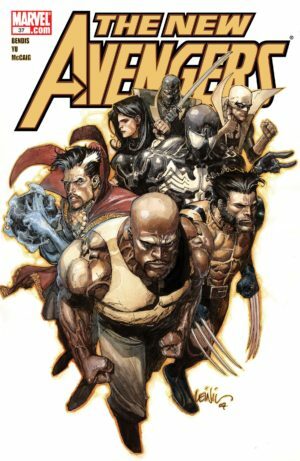 While Luke Cage appears only briefly in Infinity #3 and Infinity: Heist #3, his main involvement in the event was kicking off the new team of Mighty Avengers! At this point, Mighty Avengers is Luke Cage’s home series. Original Sin: See Marvel Universe Events. Begins after Cage’s appearance in Thunderbolts #32 or in Mighty Avengers #10. Luke Cage is a recurring character in this event. The mid-point of Axis marks the start of Cage’s new home series, Captain America & the Mighty Avengers (2015). There wasn’t really a reason this series had to relaunch just because Falcon became Captain America, as it truly does continue directly from the end of the prior series only with the first half of Axis inserted between them. The first three issues run parallel to the remainder of Axis. Captain America & The Mighty Avengers #1-9: See Mighty Avengers. 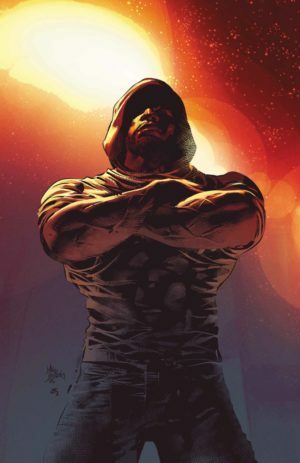 Luke Cage anchors this series and appears in every issue, though for the first half he works as an antagonist to the team due to the Avengers of Axis!. Secret Wars: See Marvel Universe Events. Luke Cage does not appear significantly in this event after the first issue. He also appears in Secret Wars: Secret Love (2015) #1, Ultimate End (2015) #4-5, Secret Wars Too (2016) #1. Finally, after many years of team-ups in other titles, Luke Cage is reunited with Danny Rand in a new Power Man & Iron Fist title! Civil War II: See Marvel Universe Events. Luke appears in issues #3-6 & 8 and in Civil War II: The Oath (2017) #1. An out-of-continuity mini-series exploring Cage’s early years in a cartoony style by Samurai Jack creator Genndy Tartakovsky. With Luke Cage and Iron Fist both hitting Netflix, their combo title was split up so they could both star in their own solo titles, launched alongside a Jessica Jones solo series. Jessica Jones has a markedly different tone to Luke’s relationship with Jessica, which places it firmly after the end of the previous series despite it beginning while the series was still running. Black Panther and the Crew (2017): We Are The Streets: Luke appears in issues #3-6 of this Ta-Nehisi Coates co-written series assembling a group of Marvel’s marquee black heroes, including Misty Knight and Storm. Jessica Jones (2016): See Jessica Jones. Luke appears in #1-7, likely before or parallel to his series, and #12-13. The Defenders (2017): Luke is a member of this team reflecting the Netflix Defenders cast. See The Defenders for collection information. Marvel Legacy features stories that get back to basics for our heroes and refer to well-loved old continuity. For some titles that had long runs in the past, they were restored to their original numbering. Luke’s title is renumbered to reflect the Legacy numbering of all of his series to date for this final arc about his road trip home from the adventures in the first volume of this series.. He also continues to anchor The Defenders as well as appear as a cast member in Jessica Jones. In this period, Luke appears in The Avengers (1963) #672. 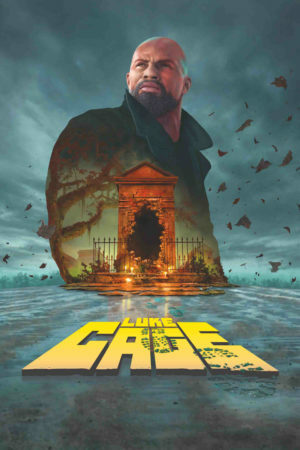 Marvel launched a new Luke Cage series in the middle of 2018 as a Marvel Digital Original, releasing first digitally as double-issues on Comixology and then later as a physical collected edition. A New Avengers reunion between Cage, Jones, Stark, and Parker, with X-23 standing in for Wolverine. Collects Hunt for Wolverine (2018) #1 and Adamantium Agenda (2018) #1-4. Also, see Wolverine. Check Amazon for Marvel’s newest Luke Cage or Power Man titles.